July inventory falls short, but sales continue to climb year-over-year. The condo real estate market is strong with more pending sales and new listings this month. 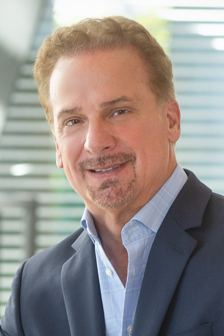 “In a traditionally slower month, sales growth indicates a robust market for July 2018,” said Greg Owens, 2018 President of the REALTOR® Association of Sarasota and Manatee. In July 2018, Sarasota and Manatee County reported 1,885 closed sales, a 10.3 percent increase from last year. In Sarasota County, condo sales increased by 11.4 percent to 341, and single family homes increased by 3.1 percent to 704. As for Manatee County, condo sales increased by 10.1 percent to 218 and single-family homes increased by 19.2 percent to 622. Pending sales represent the number of properties that went under contract this month. Across both counties, pending sales increased in the condo market but decreased for single-family homes. In Manatee County, condo pending sales are up by 18 percent, while Sarasota condo pending sales are up by 6.6 percent. As for single-family homes, Manatee County is down by 1.2 percent, while Sarasota is down by 1.8 percent. July brought more condo listings, but fewer single-family homes were added to the market when compared to last year. New listings in Sarasota condos increased by 5.6 percent and Manatee condos increased by 18 percent. As for Sarasota single-family homes, new listings decreased by 7.5 percent and Manatee decreased by 14.7 percent. July’s overall inventory is down from last year. Sarasota single-family homes decreased by 4 percent to 2,605, while Manatee single-family homes decreased by 5.3 percent to 2,045. 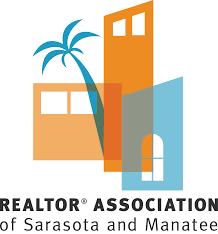 Sarasota condo inventory decreased by 1.9 percent to 1,431, while Manatee condo inventory is down by 0.2 percent to 849 available properties. “Prices show a steady upward trend, a bellwether for the strength of our local economy,” said Owens. Sarasota and Manatee County are both in a seller’s market, a reflection of the current month’s supply of inventory. Single-family homes are depleting the current inventory at an estimated 3.9 months, a 4.9 percent decrease in Sarasota and a 9.3 percent decrease in Manatee County. As for condos, Manatee County decreased by 4.9 percent to a 3.9 month’s supply and Sarasota is at a 4.1 month’s supply, a 10.9 percent decrease from last year.